Though Bigg Boss 12 has long been over but the bond between former cricketer Sreesanth and TV actor Dipika Kakar is only growing stronger by the day. Sreesanth visited Kakar’s house recently with his wife Bhuvneshwari and daughter Sree Sanvika. 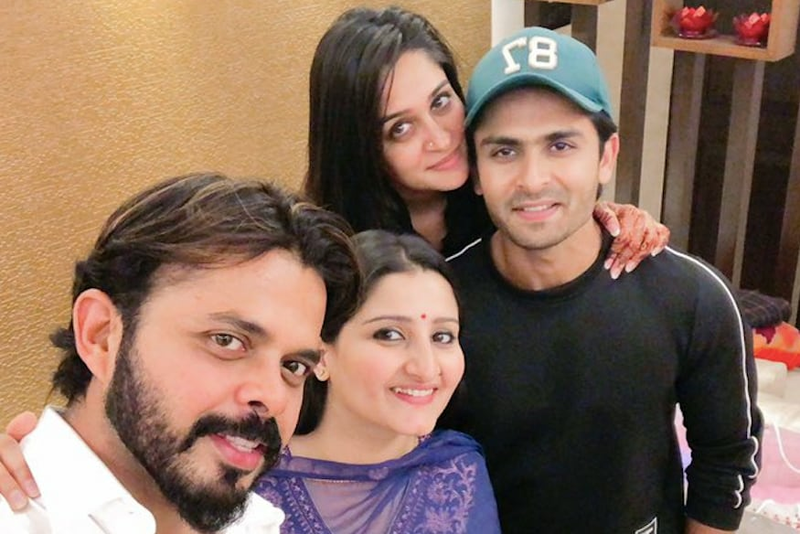 Kakkar’s husband, actor Shoaib Ibrahim took to Twitter on Monday evening to share several happy pictures of the get-together. “Rishte kaise judd jaate hain wo zaroori nahi hota.....wo dil se jude rahein wo zaroori hota [email protected] @Bhuvneshwarisr1 lovely meeting you had a blast.. aur uspe biggboss12 ke kisse.. @ms_dipika,” the wrote alongside. Kakar also took to Instagram on Monday to share a video of her and Sreesanth’s playful balloon fight. “If not the sword... It was a balloon fight!!!! @sreesanthnair36 and me doing our hamesha waali crazy masti! !” she captioned it. Notably, Kakar—who shot to fame with her daily soap Sasural Simar Ka—won the latest season of Bigg Boss and Sreesanth was announced the first runner up. The two share a warm equation and treat each other as siblings. On the professional front, Ibrahim is gearing up for the release of his debut film Battalion 609, which is slated to open in theatres on January 11. Sreesanth, meanwhile will next be seen in the upcoming season of adventure reality TV show Khatron Ke Khiladi (Season 9), which will be hosted by filmmaker Rohit Shetty.